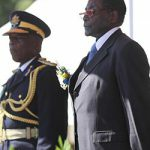 EX-president Robert Mugabe sent shockwaves through the party he dominated for decades when he posed with the retired general who will take on the ruling Zanu-PF in this year’s election. Mutinhiri’s abrupt resignation from Zanu-PF last week followed by his surprise announcement that he would be the presidential candidate of the new party exposed deep divisions in the governing party. 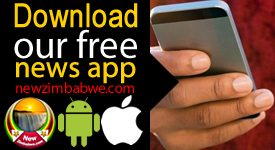 Two days later Zanu-PF Youth League supporters chanted “down with Mugabe” at a rally, a rare outburst from the normally disciplined members of the party that Mugabe led for nearly four decades. A leader of the league, Pupurai Tigarepi, later said that if Mugabe “is not responsible, we are going to look at him as a new enemy”. “There is an issue regarding the former president,” said President Emmerson Mnangagwa. “(The photo) sort of solidifies the whole idea that the Mugabe family is behind the project,” said Gideon Chitanga, an analyst with the Johannesburg-based regional think-tank Political Economy Southern Africa, describing Mugabe’s meeting with Mutinhiri as “very cordial”. Other analysts said that Mnangagwa had every reason to be concerned by Mugabe’s sudden re-emergence on the political scene. “There is an understated panic – especially within Zanu-PF,” said Zimbabwean political analyst Brian Kagoro who added that the ruling party had already struggled to formulate a response to the opposition following the death of its figurehead Morgan Tsvangirai in February. “It would have been a much easier task to concentrate on infiltrating the (opposition) – but now they have to deal with uncertainty as to who is with them,” said Brian Kagoro, a director of the UHAI Africa think-tank. The former first lady had cultivated her own factional support base within Zanu-PF known as “G-40” that was seen as hostile to the security establishment. 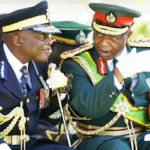 “There is a fight for legitimacy among the retired military supremos,” said Kagoro, who suggested that Mugabe was behaving with “grand malice” over his treatment. The NPF claims to have many members “who are outraged by the unconstitutional and humiliating manner in which president Mugabe was criminally ousted from the leadership of both Zanu-PF and the country”. Despite the NPF’s emergence and the ensuing trepidation at the top of Zanu-PF, the pretender party is unlikely to make significant inroads at the polls. 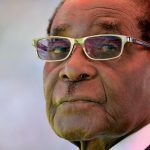 “They are trying to create the impression that Mugabe has a lot of residual support,” said Derek Matyszak, a independent Zimbabwean political analyst. “But I don’t think they are going anywhere. Mutinhiri himself is seen as a marginal figure without an established regional or ethnic base that would be essential to dent Zanu-PF’s monolithic grip on power. Chitanga, the analyst, said it was unfortunate that Mugabe appeared to be “getting entangled in opposition politics”. “The normal thing would have been for him to retire quietly,” he said. 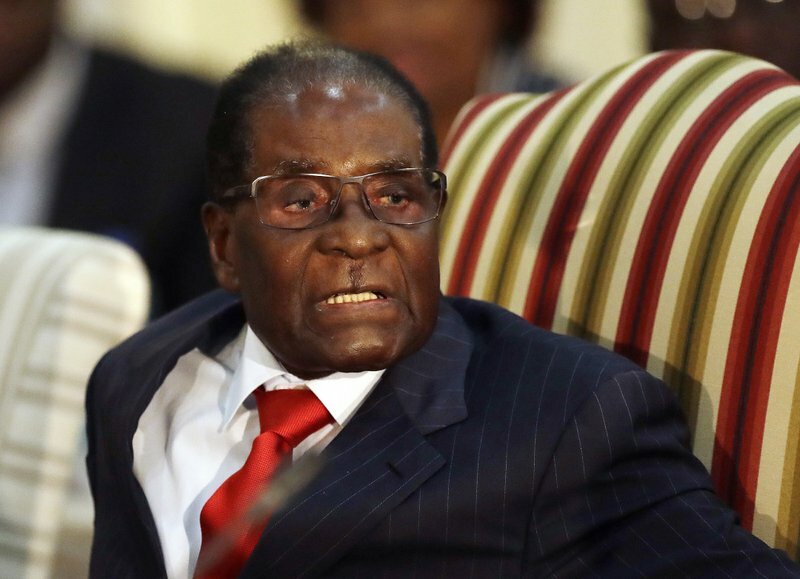 The NPF has quoted Mugabe as saying that “people are free to belong to parties of their choice”. It also vowed to ensure “there is no interference by the army, or those that would want to resort to violence as a means of getting votes”. 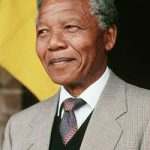 It is an irony that will not be lost on voters that elections held under Mugabe were marred by violence and voter intimidation – alongside allegations of electoral fraud.